Painted as part of the London Design Festival with Roots Grow Love and Upcircle Design. 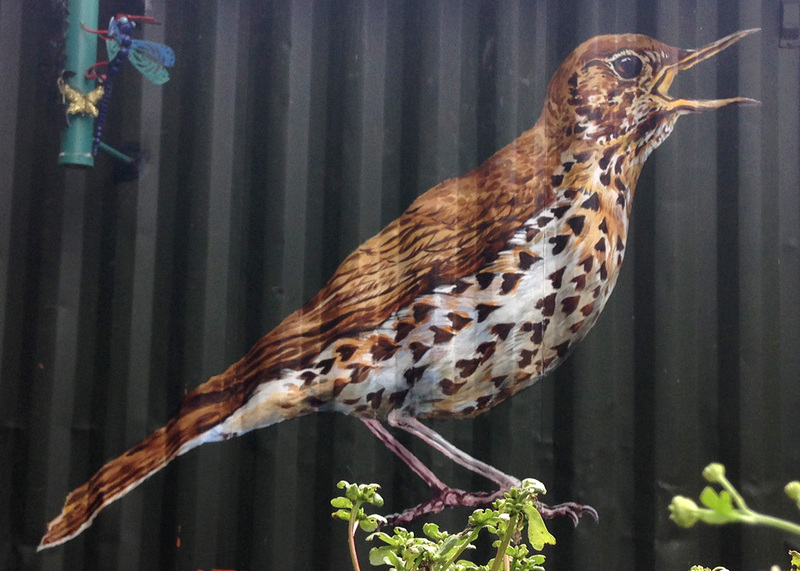 Song thrushes are disappearing as untidy gardens disappear. They like thick hedges and bushes with damp shady places where they can smash snail shells on their ‘anvils’. The less use of insecticides and weed killers in gardens the better. These kill the food our birds need. The more dead logs and piles of leaves left to rot the better. Plant more untidy thrush-friendly gardens!